FG begins online registration of unemployed Nigerians today – Royal Times of Nigeria. The Federal government will today open a portal for the registration of unemployed Nigerians. 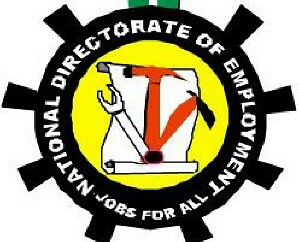 A statement by the Deputy Director, Information & Public Relations, National Directorate of Employment (NDE), Edmund Onwuliri, says the portal, www.jobsforall.ng, will serve as a job exchange platform that will link job seekers and employers. He added the portal is in fulfillment of this administrations promise to reduce unemployment in the country. The statement reads; “The online portal which goes live today Wednesday April 5, 2017, is designed to capture the relevant details of any unemployed person. It will equally serve as a job exchange portal that will link job seekers and employers. There will be a practical demonstration of the workings of the portal at the NDE stand at the on-going 28th edition of the Enugu International Trade on Thursday April 6, 2017. However, the portal can be accessed by logging on to www.jobsforall.ng. The Directorate sees this initiative as a bold step towards deepening the effectiveness of its employment creation strategies and a critical input into the process of designing, implementation, monitoring and evaluation of programmes and schemes.”.